Formulated to target all skin types, this masque is designed to absorb excess oil, decongest pores, moisturize dry skin, and nourish dehydrated skin. 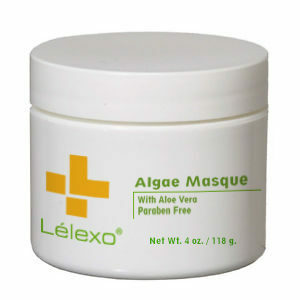 The therapeutic use of Algae offers skin benefits, such as regulation of sebum production, antioxidant properties to further fight and prevent free radical damage and encourage vascular circulation. Enriched with aloe vera, kaolin, bentonite, camphor and allantoin, this combination helps in the production of collagen and elastin revealing a radiant and healthy complexion. Key Ingredients: Kaolin, Algae Extract, Allantoin, Camphor. Directions: Use once or twice weekly. After cleansing and toning, apply an even layer over entire face (neck and chest also recommended). Leave on 3 to 5 minutes. Remove mask with warm water.